Bad manners occur when a puppy has not been taught how to behave in a way that is socially acceptable to others that it lives with or comes into contact with. Puppies that are allowed to please themselves often turn into adults that act on impulse without worrying about the consequences of their actions and can be extremely difficult to live with. Puppies that are bad mannered will often barge people out of the way, jump up and use their paws to get what they want, whether it is food on a surface or attention from a person or child, and are usually unwilling to consider doing what you want but prefer to do what they want to do instead. If your puppy does not yet have bad habits, try very hard not to let him find out how rewarding it can be to behave badly. This means, for example, never allowing him to jump up and raid kitchen surfaces or the table, preventing him from jumping up when visitors call at the house, and never allowing him to chase the cat or bark at birds in the garden. Try to think ahead and predict what could go wrong, then make sure it doesn’t happen. Stopping your puppy from behaving badly and learning how good this feels for the first year of his life will mean that he doesn’t try unacceptable behaviour at a later date. The bad habit simply won’t be there. 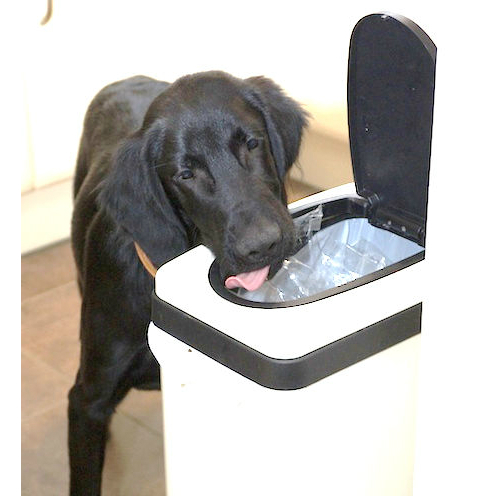 If your puppy already has a few bad habits, it is important to stop unwanted behaviour immediately. Do this by controlling your puppy’s movement around the house and garden by means of stair gates and house lines (see ‘How To Use A Houseline’). Physically prevent him from doing whatever it is you do not like, such as jumping up (go to ‘Jumping Up’ for more details) or leaping onto the work surfaces or tables searching for food. Don’t punish him but just stop him from doing the behaviour, preferably while he is still thinking about it rather than after he has started trying to do it, so that he can no longer be rewarded by it. This is the first step in removing the bad habit from his mind. Start with the small bad habits that you can control easily and be insistent and persistent to make sure your puppy complies with your wishes. Then tackle more difficult issues later. As soon as your puppy does what is required, reward him well with whatever it is he wanted, whether that is freedom to go outside, praise from you, a game or a tasty treat. Make sure the reward is as good or better as the reward he would have got if he had behaved badly. This will ensure that, over time, as you begin to break bad habits by not allowing them to occur, the new rewarding habits will quickly take hold. 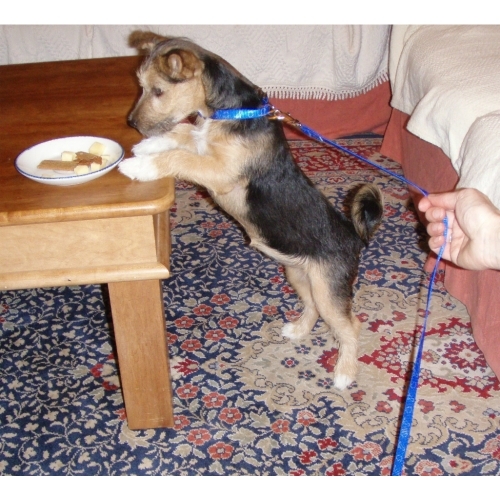 If you teach your puppy how to behave well in this way, he will gradually begin to behave more acceptably. You are likely to have set backs along the way where he seems to have forgotten everything, but this is normal. Gradually you will see big changes and because you have trained them positively so that he enjoys behaving well, those changes will be permanent.